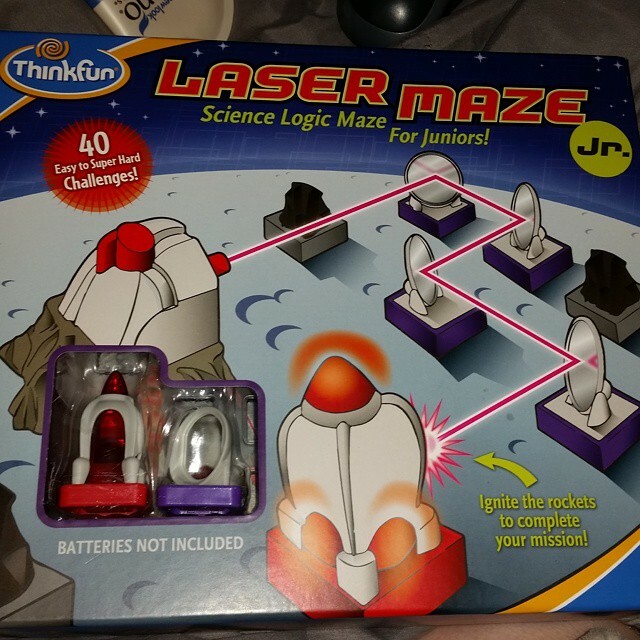 Think Fun Lazer Maze Jr. Game really gets you thinking logically when playing each different maze and trying to solve each puzzle. You have to turn the mirrors different ways to make it from one end of the maze to the other. Its a great way for kids and even adults to relax and play the different puzzling mazes. There are 40 different challenges ranging from Easy to Hard. Choose your challenge card and set up your mirrors to precise spots. Change the positions until you make the rockets light up. This entry was posted in 2015 Holiday Gift Guide, Reviews and tagged challenges, challenging puzzles, family game night, family night, game, game night, games, Laser Maze, Laser Maze Junior, preteens, puzzles, teens, think fun, think fun games. Bookmark the permalink.